WENATCHEE, Wash., October 9, 2018 – Centricity, a grower-owned technology company, today announced commercial availability of a suite of enterprise ag data connectors and services that power a decentralized data synchronization service for the food industry. 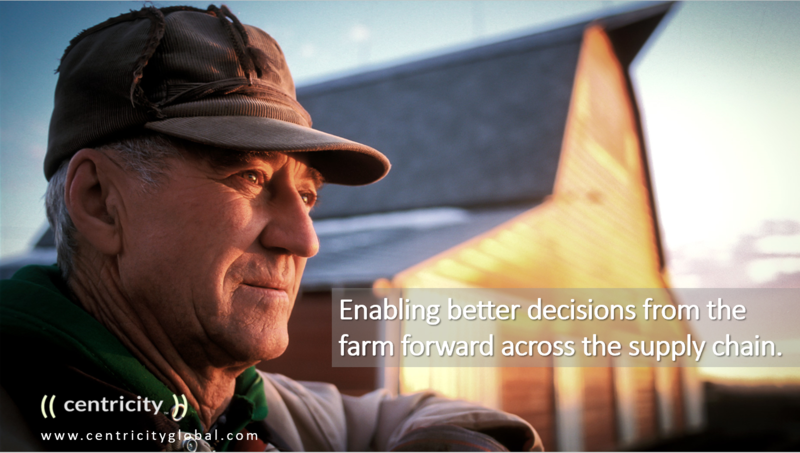 The services connect farmers and brands in a way that upholds their values while protecting trade data and identity. There's been technical and process issues with buyer demands in the past — but today is a new day. Growers have an opportunity to shape the technology for equitable value exchange. The open source framework and the enhanced Centricity Enterprise Trellis Connectors offer a new approach for suppliers and buyers to exchange data automatically, regardless of the systems they choose. Once the connections are made, unique trust management keeps proprietary data safe and can also mitigate liability. Because all information can be digitally signed with unique successive signing and selective synchronization, it can be validated, trusted and connected with others cost effectively. This is especially useful given the produce industry’s recent challenges with food safety traceability, as well as the continued increase in regulation, such as the U.S. Food Safety Modernization Act (FSMA), and Walmart, who recently announced blockchain compatibility requirements. “Our customers deserve a more transparent supply chain,” Walmart Vice President of Food Safety Frank Yiannas said in a news release. “We felt the one-step-up and one-step-back model of food traceability was outdated for the 21st century.” Direct suppliers will need to have one-step-back traceability on the [IBM Food Trust] network by Jan. 31 and end-to-end traceability is expected by Sept. 30, 2019, according to the letter Walmart sent to suppliers. “With Centricity’s Enterprise Trellis Connectors, we can ‘plug-in’ existing systems, allowing us to put the information to work in our business quickly,” explains Eric Skiles, IT director at Domex Superfresh Growers. Centricity has been working with leading produce companies like Domex Superfresh Growers, Dole, Rainier Fruit Company, Stemilt, Basin Gold and others to unlock the value of compliance data across all suppliers and partners from the field to the dock. Now, they are taking this boots-on-the-ground expertise to connect the rest of the supply chain in a way that protects the farmers’ interests while meeting buyer and consumer expectations. In addition to grower-shipper meetings, Centricity is facilitating discussions with ag chem suppliers and equipment/technology providers (grading/sorting, irrigation, imagery, robotics and AI). With a goal of connecting all stakeholders, Centricity is also negotiating agreements with global certification & standards organizations and software & system integrations companies. Earlier this year, Zabrocki presented at the Blockchain Conference in Seattle and the Consumer Goods Forum GFSI conference in Tokyo where major companies and investors expressed excitement about the open-source, collaborative approach. Later this year, they will announce a global farm audit data exchange that connects leading companies across the globe. Centricity will be on site to answer questions at the Blockchain Village and the Science & Technology Committee Meeting at PMA’s Fresh Summit in October as well as several other events this winter. Additional information is also available across web and social channels.